The Indians know a thing or two when it comes to making condiments. Some of their condiments like raita are fat free and accent dishes unlike North American condiments that mask the flavor of food. Don’t get me wrong, this is not to say that I do not like a slab of vegan mayo on my sandwich or ketchup with my fries. I just wish that there were more healthy options out there. 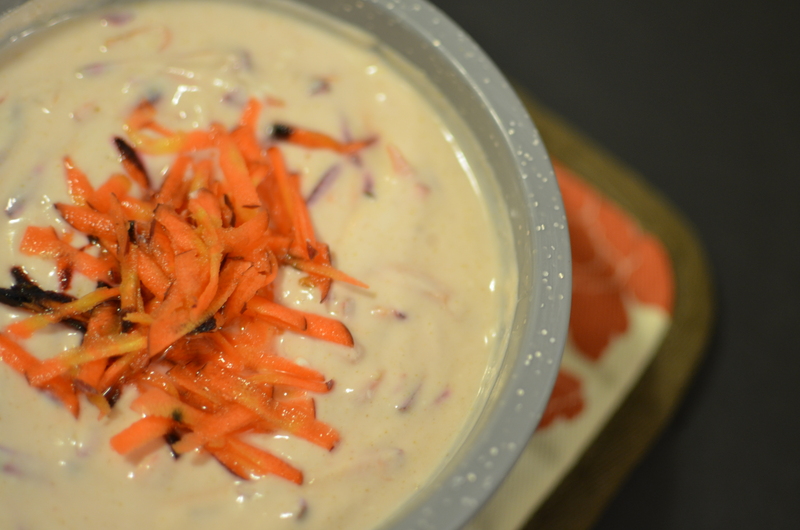 Raita compliments many curries, especially masala based ones. Raita can be used to cool down spicy curries and tastes great on potatoes or by itself with some naan. 2. Combine all the ingredients in a small bowl and enjoy. This is a truly beauty-full condiment- can’t wait to try it out! 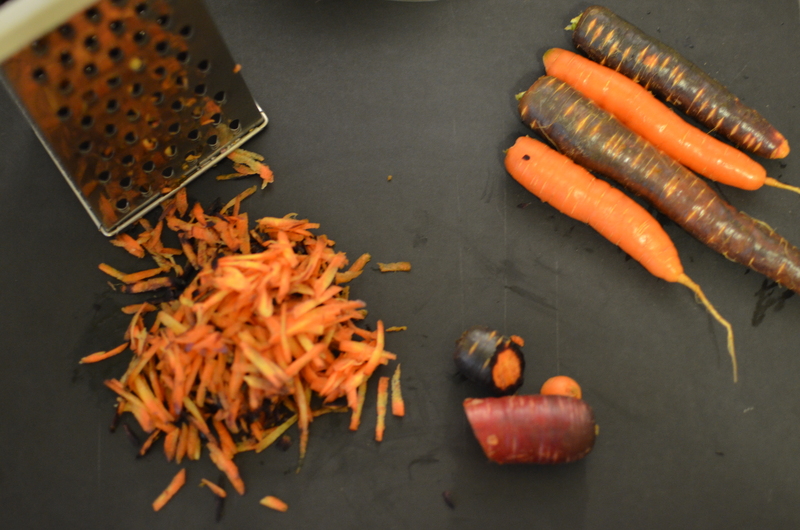 Thanks for posting and thx for introducing me to rainbow carrots! Is there a favorite variety of yogurt you use for this dish? I use an organic plain yogurt with 3.5% milk fat. 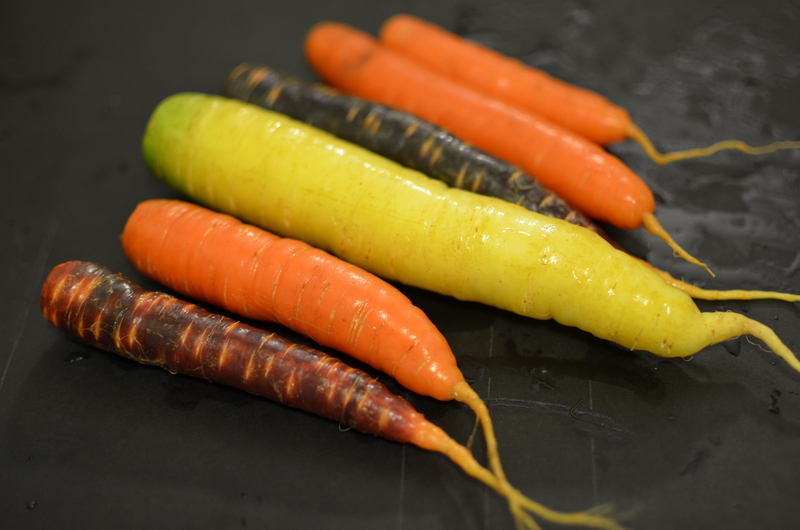 Rainbow carrots are the only ones I use these day, they are delicious! Cutest carrots i’ve ever seen. BTW – we are having Poutine for dinner tonight, Lily’s directions!!! We love the Coriander kitchen and are looking forward to all the wonderful recipes that will come from your upcoming journey. 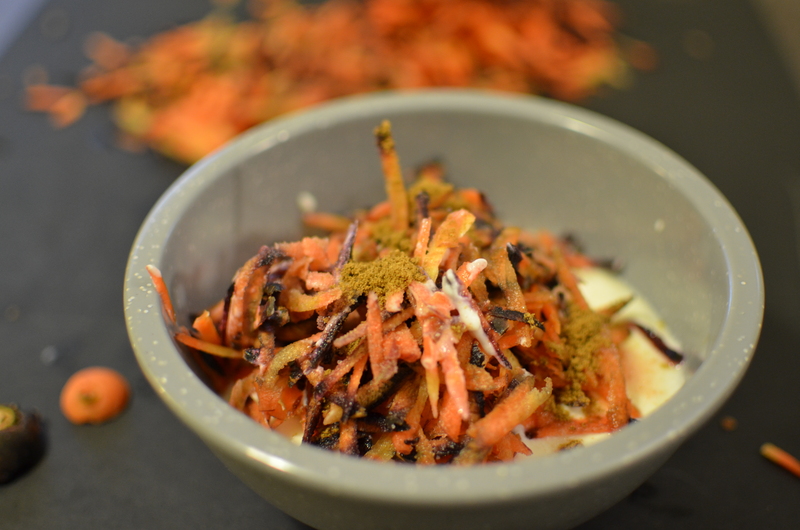 You are currently reading Rainbow Carrot Raita at Coriander Kitchen.